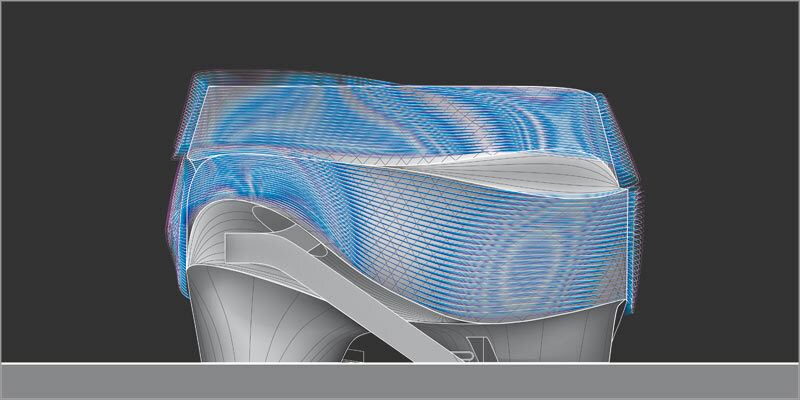 The proposal is aimed at transforming the pavilion’s theme, beyond mobility, into spatial experiences that appeal to visitors’ senses and emotions - from kinesthetic sensations felt on the interior circulation slope, to the optically moving effects of the ephemeral outer skin that consists of gradient layers of colored metal wires. By employing analogue spatial effects, the pavilion presents steel as a ductile material with many facets and qualities, from solid to elusive. It emerges from the ground held up by three vessels constructed from solid steel plates. The vessels merge into a shading roof and create a cool and welcoming space for waiting visitors. 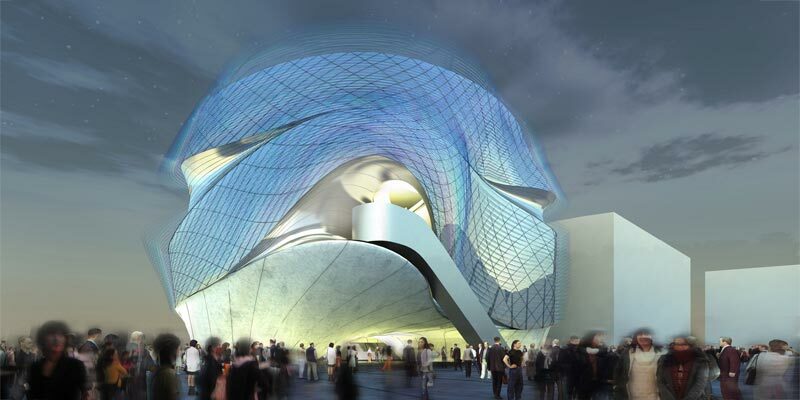 The bottom of the building unfolds into the dynamic metal body, which incorporates the 3 floors of the main exhibition. 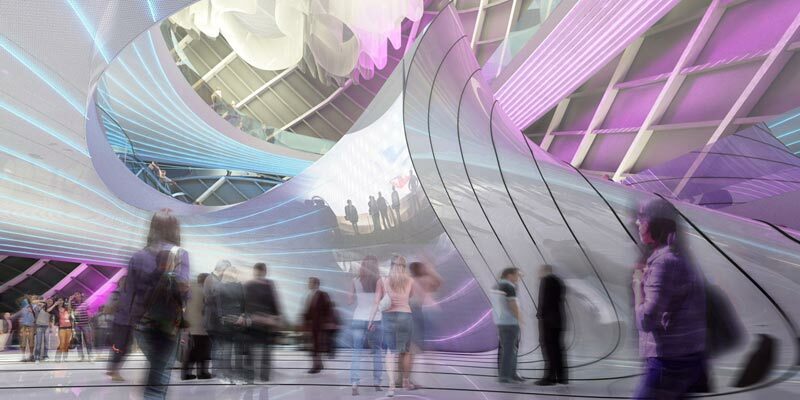 The inner movement of the exhibition circulation is reflected in the shape of the outer skin. The metal body is wrapped in colored layers of wires that produce an oscillating volumetric effect and a constantly changing appearance.